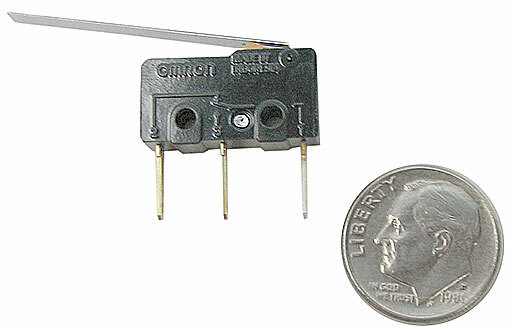 This SPDT slide switch is rated for 6A at 125VAC and 3A at 250VAC. Measures 3/4" long x 3/8" x 3/16" deep. Made in China for Defond. Part #CSJ-1206. In the universe of reed switches, we're assured that this one is quite snazzy. In a 1" x 9/16" x 3/8" housing with a 3/8" mounting wing with (2) 3/32" mounting holes. Trigger distance is approx 1" regardless of magnet strength. Comes with 20" tinned leads. Rated for 400mA at 24VDC. Normally open. Perhaps a switch in time won't save nine, but if you keep getting caught without the goods, and have to rush off to the local high priced supplier, we can help. 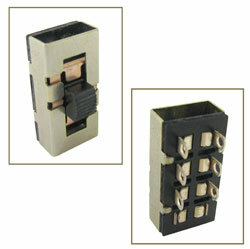 Of our assortment of (10) switches, (at least (5) different) should have the answer to a wide variety of needs. 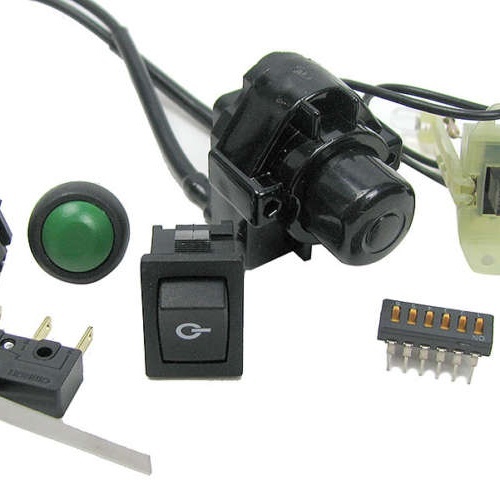 It contains an assortment which may include toggles, rockers, rotarys or slide switches in a variety of sizes. Chances are you can find what you need, or at least something that will serve. Try it!! 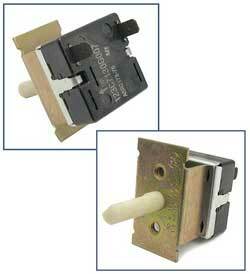 These little PC-mount SPDT momentary switches from Omron® are rated for up to 0.1A at either 125VAC or 30VDC. Measures 3/4" x 1/4" x 1/4" with a 1-1/4" lever. UL/CSA. These momentary SPST push-button switches are normally open and measure 11/16" dia x just over 3/16" thick and have a 15/32" shaft with a steel lock-washer & nut plus a pair of 1/8" solder terminals on the bottom. 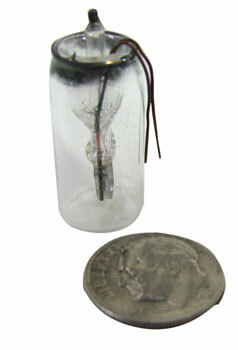 Rated 3A at 125VAC or 1A at 250VAC. 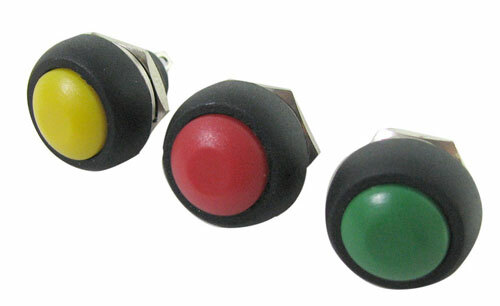 You pick red, green or yellow. These vacuum-sealed glass-cylinder switches have bimetal contacts inside. Normally open, they make contact at approx 500°F. 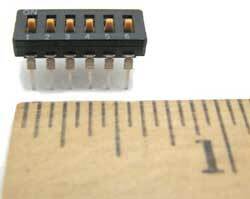 Our vacuum-sealed-bimetal-switch boffin calls the leads "pretty skinny" and suggests low-power applications only. 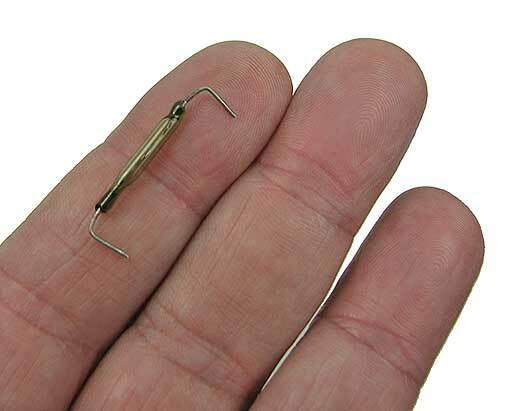 Measure 1-1/8" x 1/2" dia with 3/4" long leads. An LED that really shines. The red LED is configured with a resistor and works at 9-12 volts. It's held by a 1-5/8" bracket behind a 1-1/4" x 7/16" x 5/16" deep SPST slide switch, and has (2) 4" leads. All ready to roll. 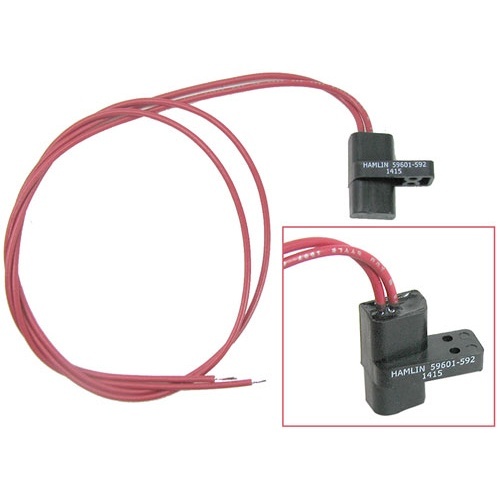 This thin glass N/O reed switch measures 3/4" long x 3/32" with bent axial leads. We don’t know the amp rating, but it needed a magnet right close to trigger it, so were guesstimating it on the high end. Should be good for light-duty DC applications. Omron #A6D-6 PC mount dipswitch with (6) SPST switches. If you're not into switching dips, try making one into a caterpillar body for an art project!! Just like your love life?? This switch turns between on and off when the 1/4" dia x 7/8" long shaft is rotated 90°. 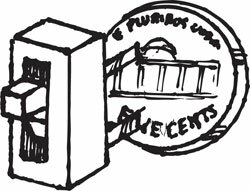 Rated 120 VAC, 10 amps, it is 1-1/2" x 1" x 1" deep. (2) threaded mounting holes on the face plate and (2) spade connectors complete the picture. 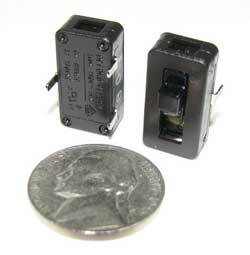 This DPDT slide switch has a couple of extra positions and is rated for 13A at 125VAC, 6A at 250VAC, and 0.5A at 125VDC. Measures 1-1/8" x 1/2" x 1/2" counting the (6) solder terminals on the bottom. The two middle positions are tied together.